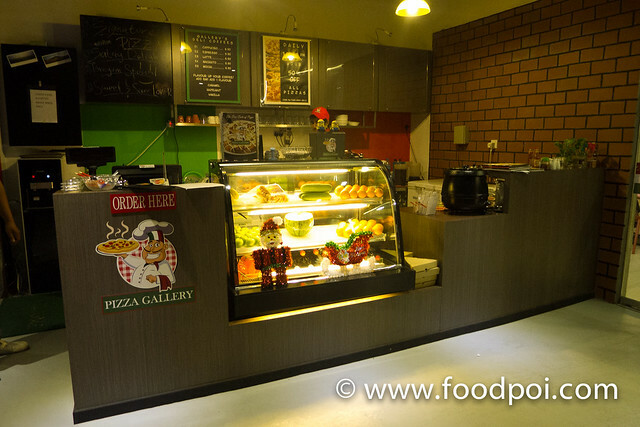 Tucked along the famous cafe block of Publika, there’s a pizza restaurant that stand nearby The Coffee Stain and Coffee Societe. 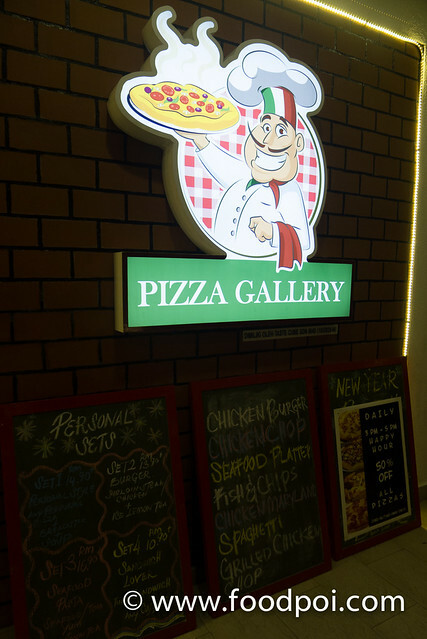 The name may sound common to you which is called Pizza Gallery. There’s a fruit juice counter and coffee bar that serves gourmet coffee upon order. 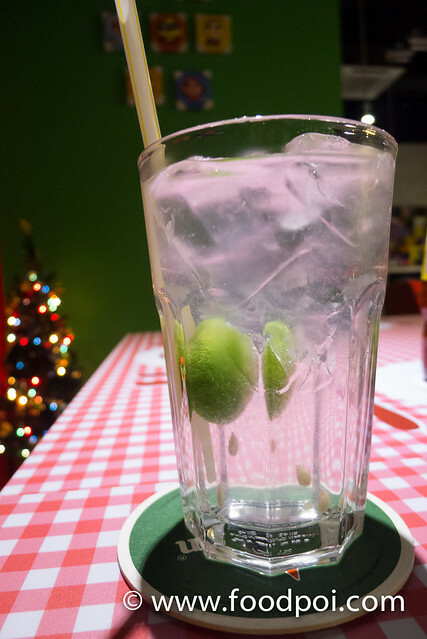 I prefer to have lime juice than soft drinks as this helps me in digestion. 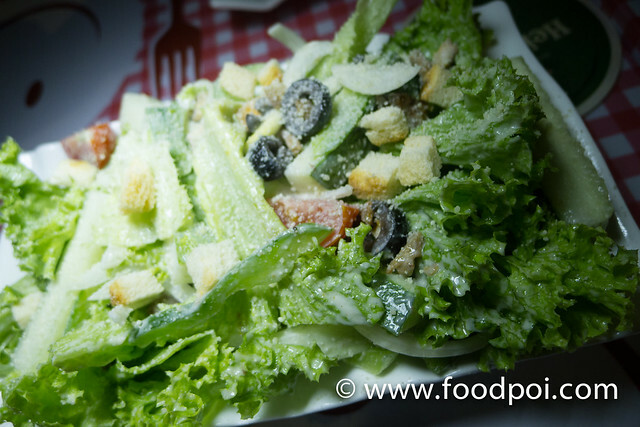 House Special Caesar Salad that can beat all the fast food restaurants quality. Price are reasonable and the salad a prepared with top grade ingredients. A good starter to begin with. 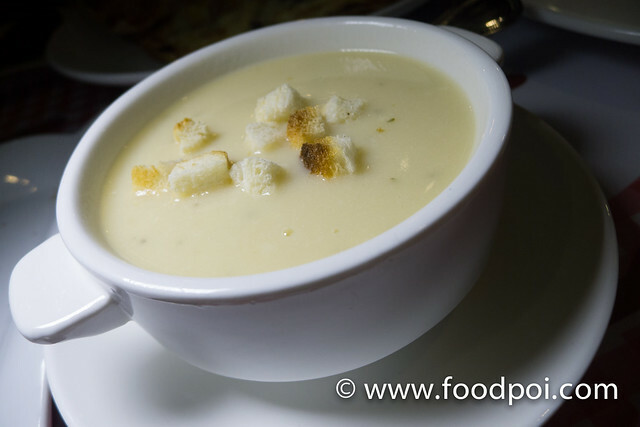 Cheese Bread that goes along with any soups. At first I thought this going to be crispy but after taking a bite to my surprise it is still warm and fluffy with a melted cheddar cheese on top. My favorite! 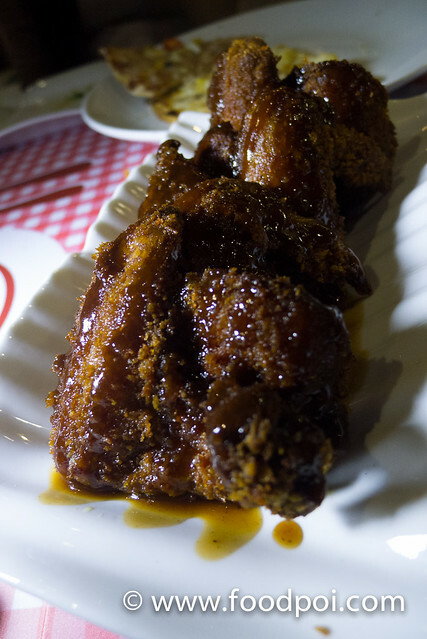 House special chicken wings – Bread crumb breaded BBQ chicken wings which are then deep fried and dipped with BBQ sauce upon serve. One of the bestseller aside from their pizza in this restaurant. 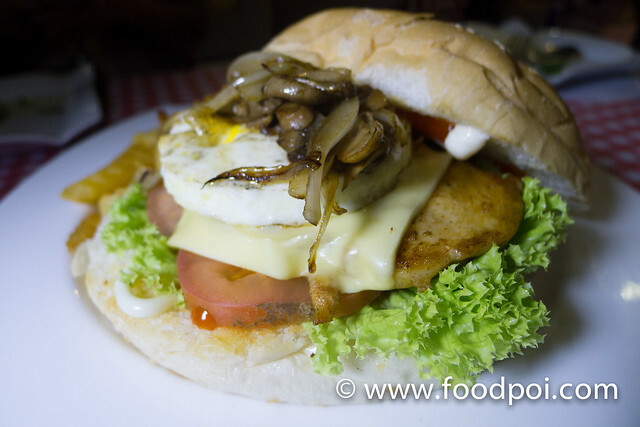 This is due to the size of the burger where the whole patty were actually whole piece of chicken meat. 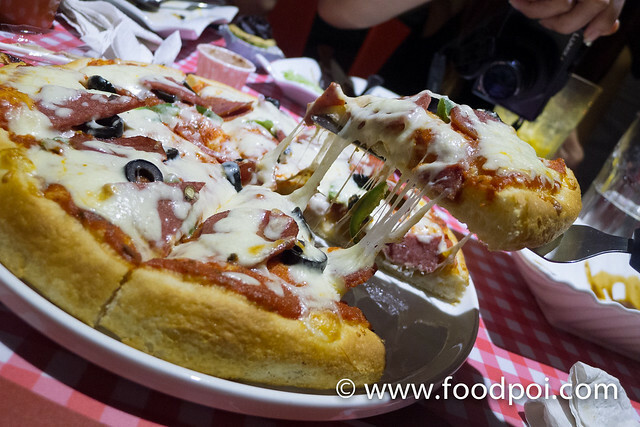 For those who don’t want to eat pizza, you can try out their range of spaghettis which are as good as other Italian restaurants at a fraction of their price. 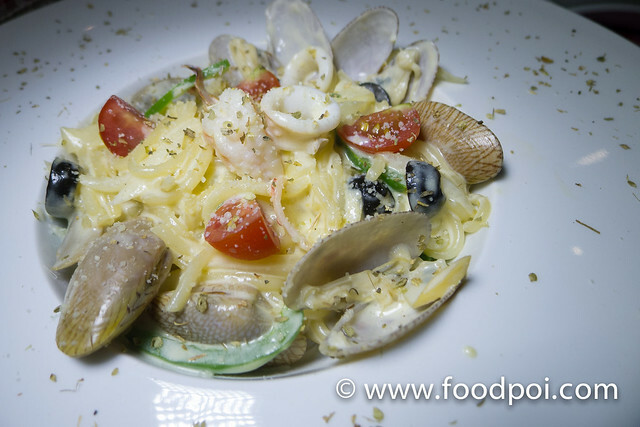 Cream based pasta tossed with clam, squid, prawns and olive oil are for those who love the freshness of the seafood. 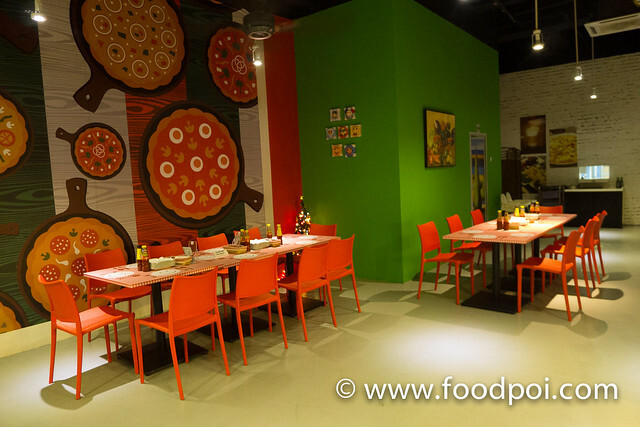 The chef here are experience in preparing all sorts of dishes that relates to Italian main course. 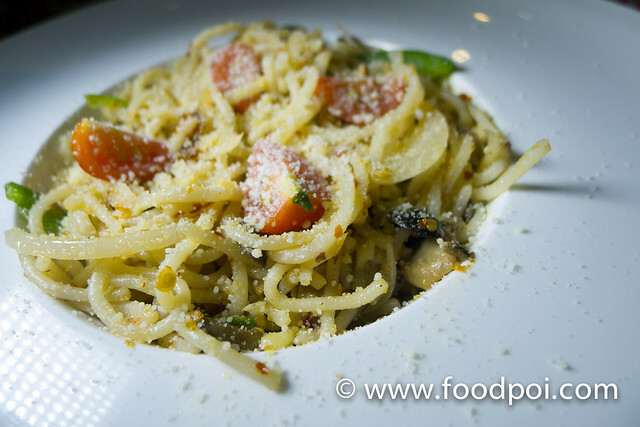 Aglio Olio that are most basic yet the hardest to prepare. The pasta are done al dante which perfect for me liking and by adding more chilli flakes will be perfect. 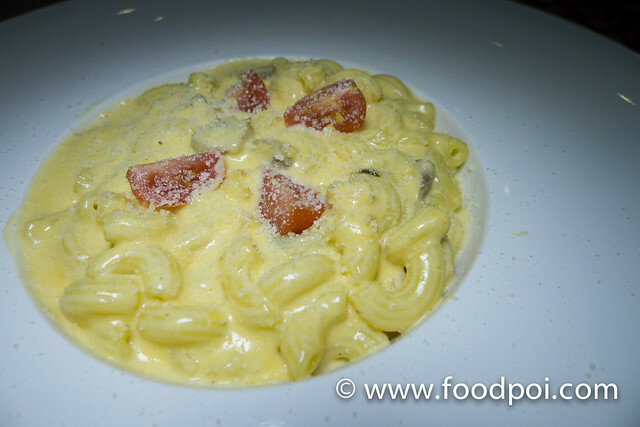 Macaroni Cheese is the ideal choice for kids that don’t like pizza. But I never heard of kids don’t like pizza so far. Tom Yam Pasta. 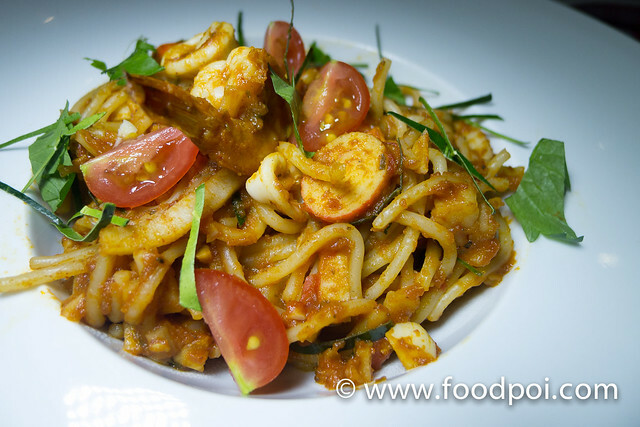 Spaghetti done with an Asian twist where they use chef’s specially own made Tom Yam paste. I am kinda picky on my tom yam taste. 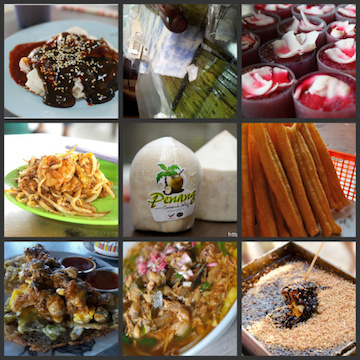 I can easily tell the difference between Maggi tom yam paste and authentic freshly prepared version. Here they pass with a flying colors and the tom yam paste is as good as I had in Thailand. That’s all from the pasta menu and we are going into the pizza menu. The pizza menu are rather simple and straight forward with the common names that you see at other pizza restaurants. 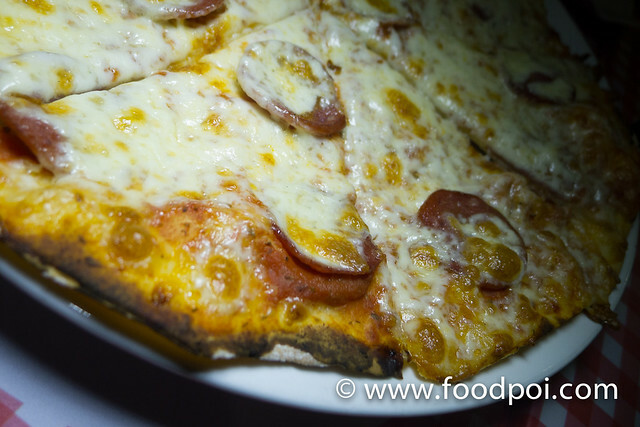 Beef Pepperoni – One of the most basic pizza that test the skill of the chef tossing/preparing the dough and the tomato margherita sauce. 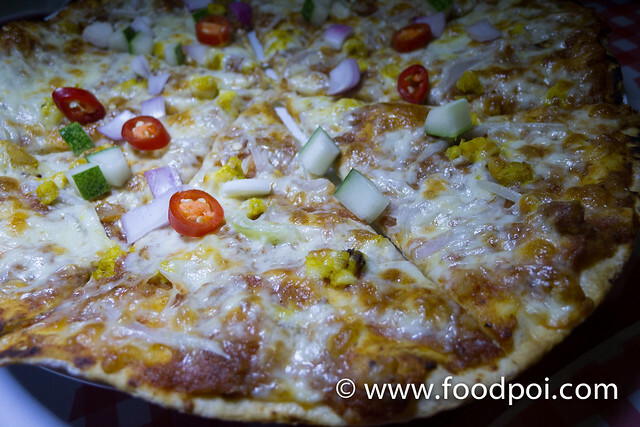 The thin crust pizza are prepared from fresh and bake on the spot upon order. 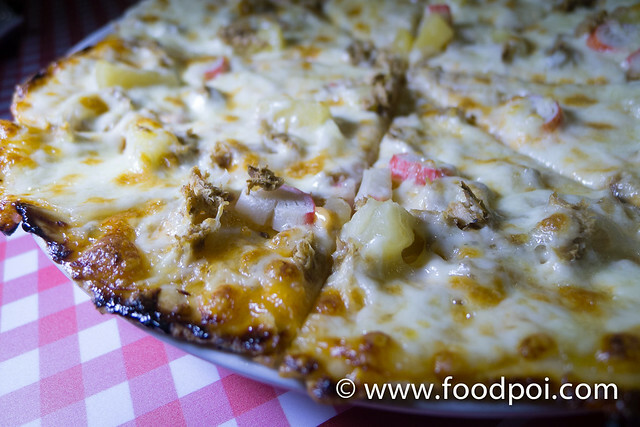 Satay Pizza which is the house specialty and most ordered so far. 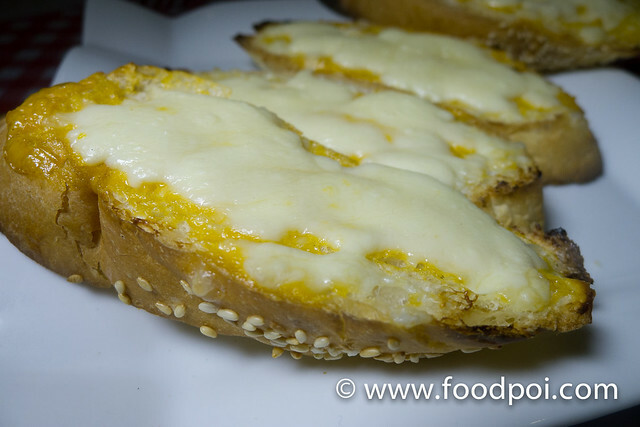 It is using the satay peanut sauce as base then with satay meat bits were added before baked with mozzarella cheese. I vote for this as my personal favorite. It taste sooooo good! 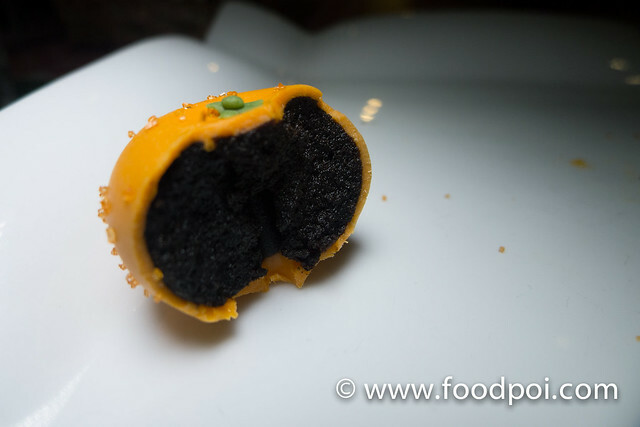 Spicy, tangy and packed with plenty of oomph. It maybe a bit spicy for people but I love it. I may sound weird, but if got a slice of kafir lime squeeze on top will perfect it to the max. 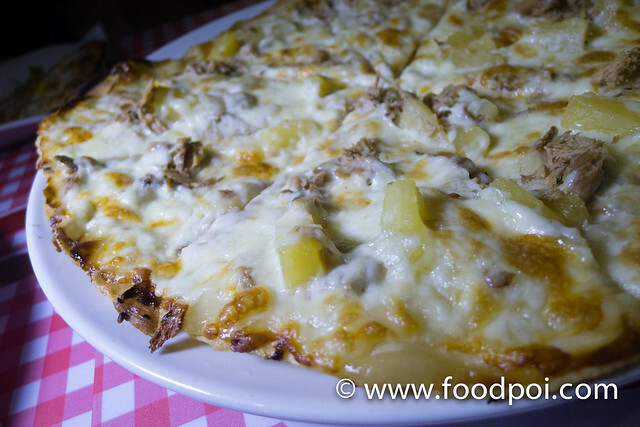 Sweet and Sour Pizza – Hawaiian Pizza like but this is their house specialty for the hawaiian die hard fans. 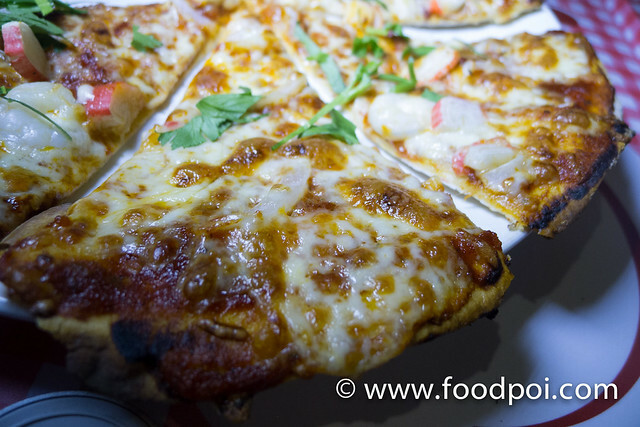 Classic Crust Pizza Supreme pizza that are there to fill in the gap of the thin crust pizza. I don’t feel the satisfaction of being full without something filling. This also are baked from scratch upon order and is not ready made bread like those made in Pizza Hut’s. On the same night we are introduced to a home baker as well by the name of Chewies Delight. 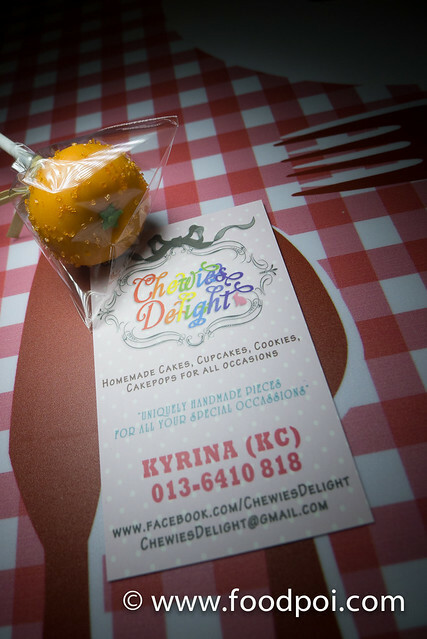 The baker behind the name was Kyrina where she creates a range of cute designed mouth sized desserts which are looking good and cute. 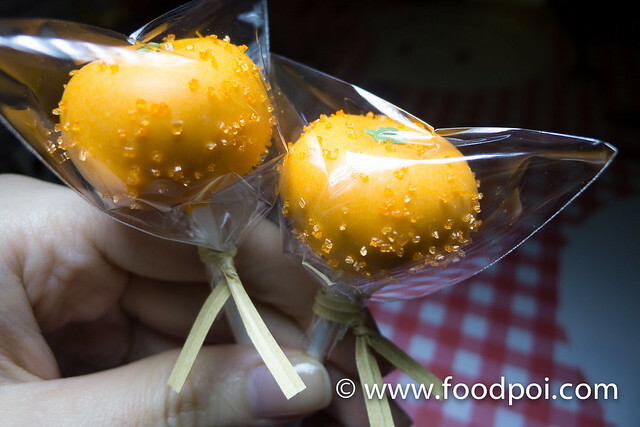 Lollipop looked cakes which are ideal to be given as corporate gifts. 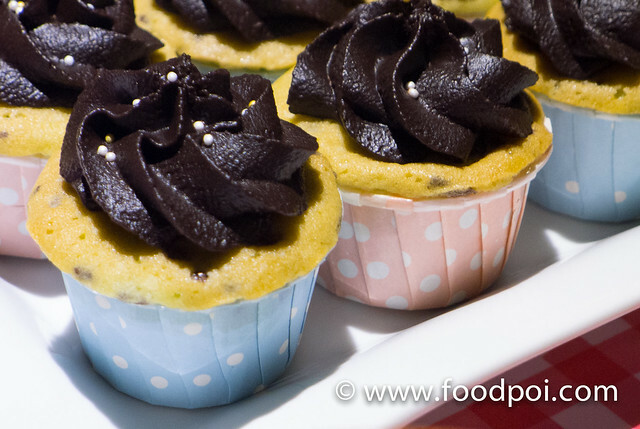 Beneath the fondant, this is a dark chocolate cake. 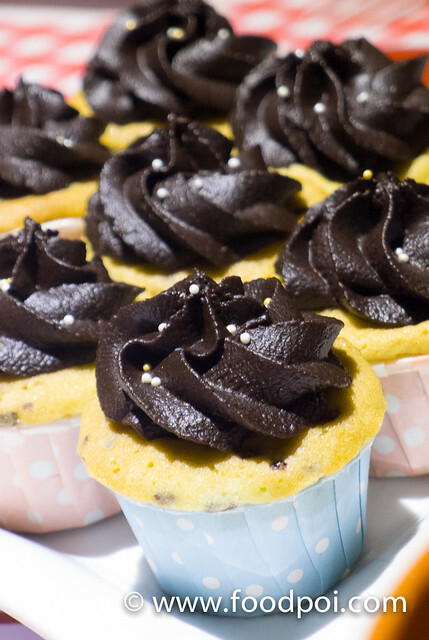 Home made cakes can never go wrong and taste good. But just that on my personal preference, the toppings are slight overly sweet.